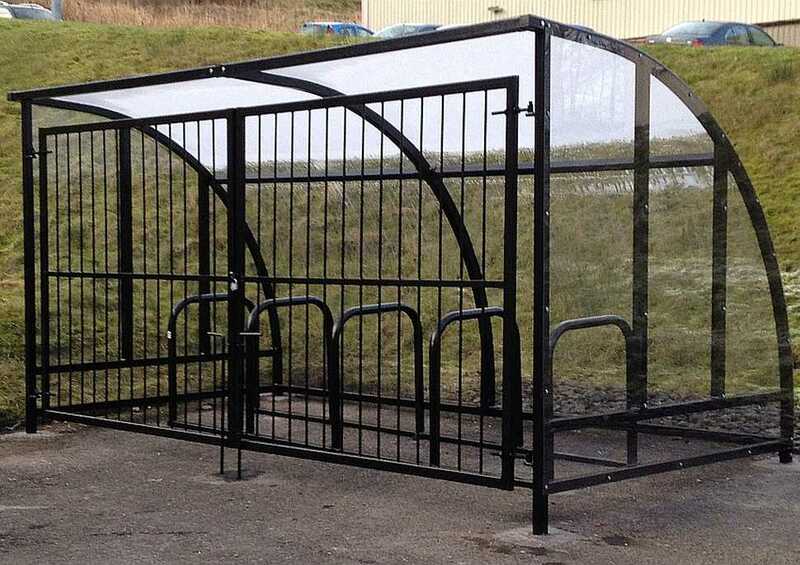 Barricade Fabrications: Cycle shelters - Bike storage compounds - High quality range of standard & bespoke bike storage shelters fabricated in-house. 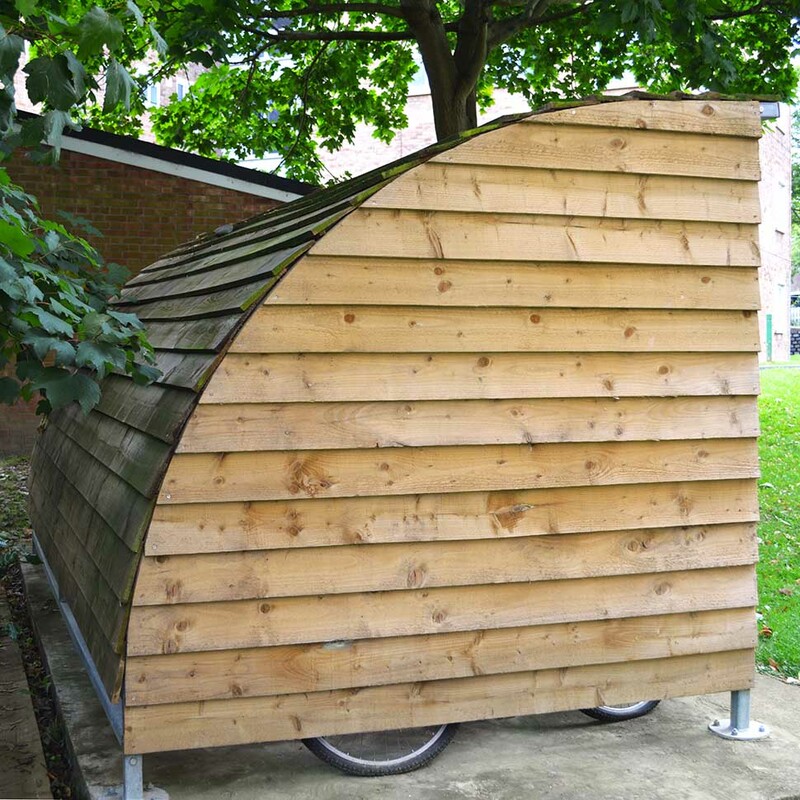 Cycle shelters - Bike storage compounds - High quality range of standard & bespoke bike storage shelters fabricated in-house. 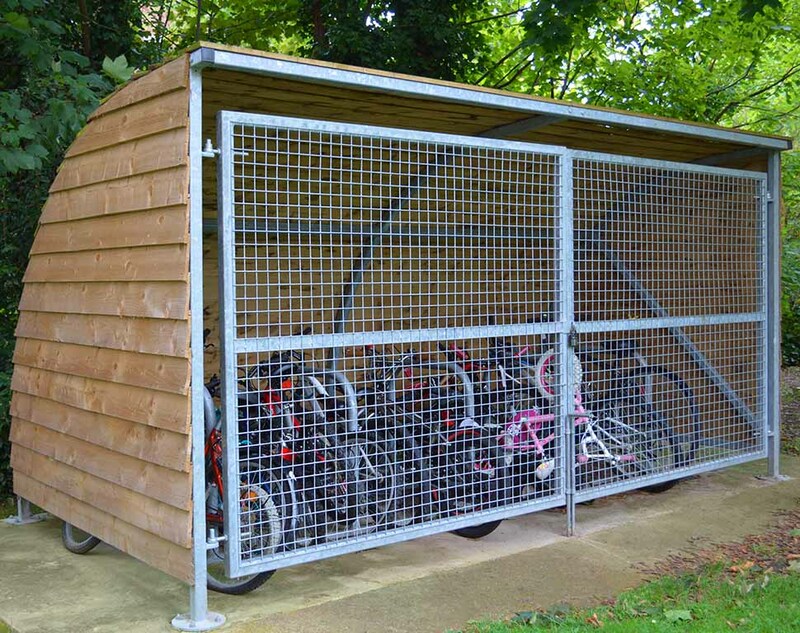 Barricade fabricate, supply and install a wide range of cycle shelters, cycle storage compounds and bespoke bicycle storage solutions. 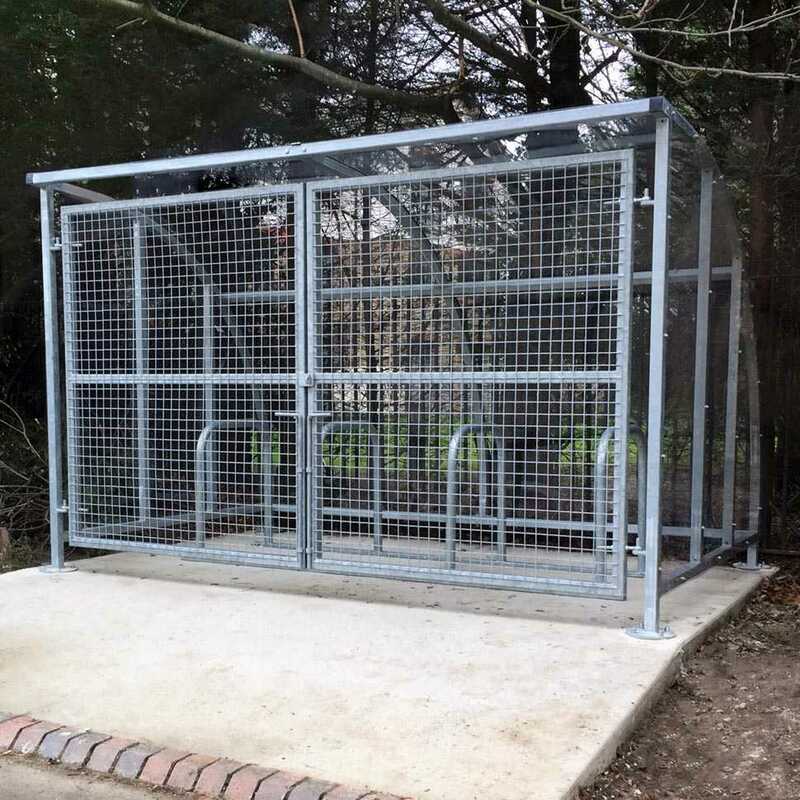 All of our bike shelters and cycle storage compounds are fabricated in-house and we are able to provide fully bespoke shelters exactly to our customer's specification. 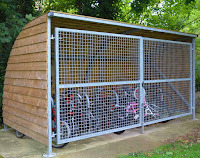 Visit our website at www.barricade.co.uk to view our full range of cycle storage solutions. 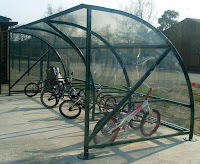 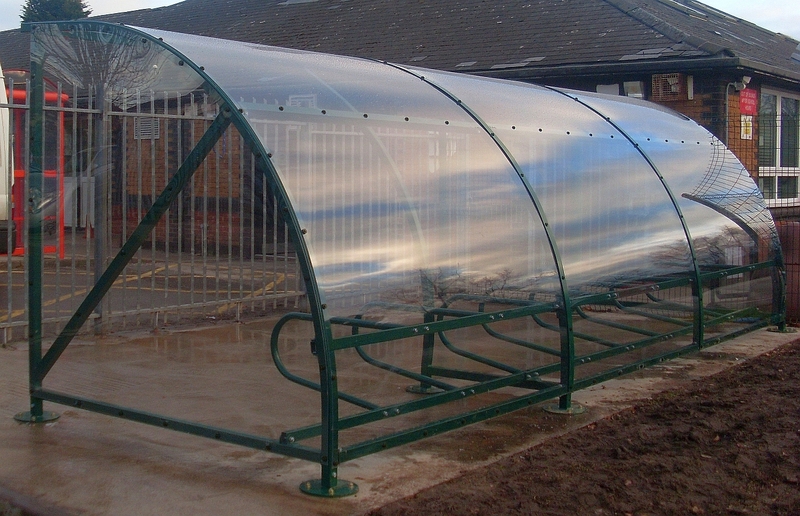 Cycle shelters are designed to provide a secure and weatherproof storage solution for bicycles, scooters and motorcycles. 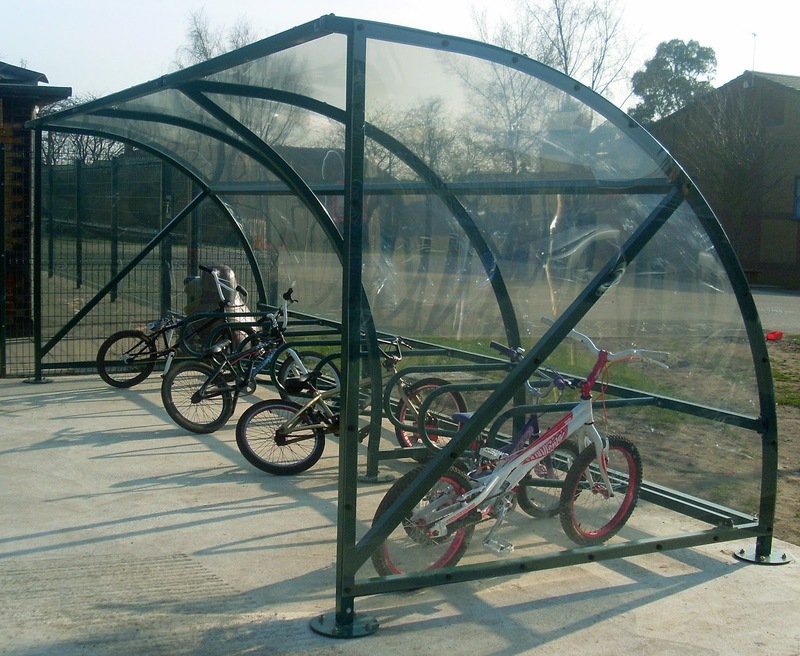 The cycle shelters are fabricated from mild steel and can be supplied with a durable P.E.T glazing to the sides and roof. 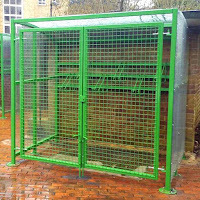 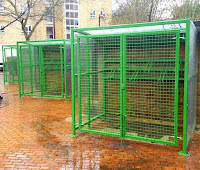 Shelters are galvanised to BS EN ISO 1461 as standard and can be finished in any standard RAL colour. 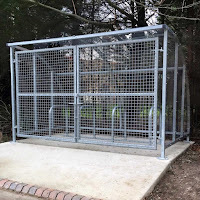 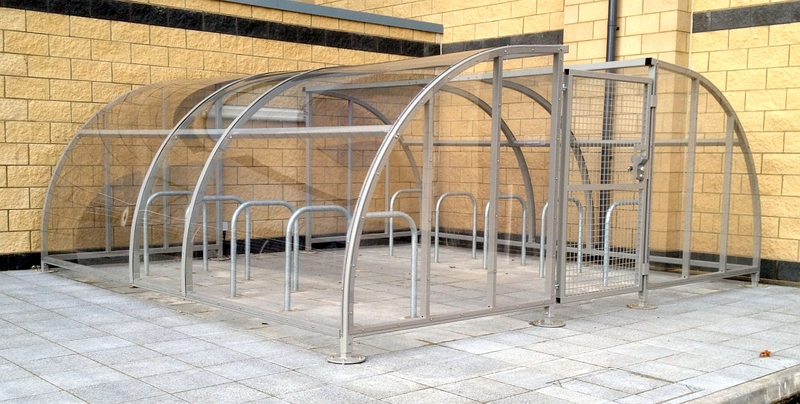 Cycle shelters are available with lockable sliding or swinging gates to provide additional security and prevent unauthorised access to the shelter and the tampering with or theft of the cycle. 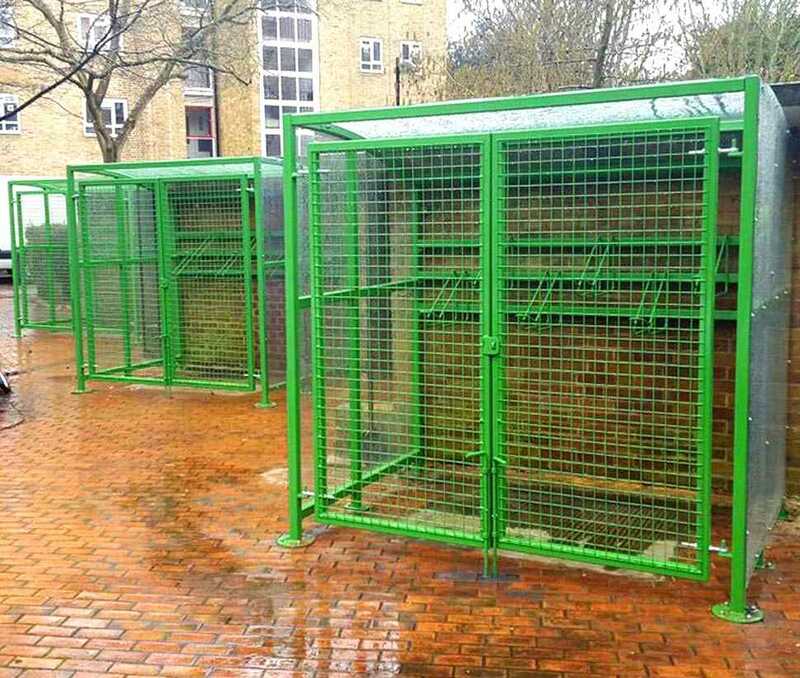 The robust perspex roofing and side panels provide protection from all types of weather and prevents the build up of leaves or litter inside the shelter compound. 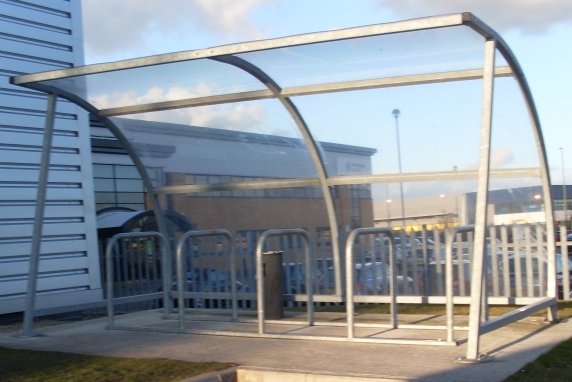 Our cycle shelters can accommodate either Sheffield, Harrogate or Ulysses cycle stands internally as well as toast rack design cycle racks. We are able to fabricate our bicycle shelters to almost any customer specification and our high build quality and attention to detail ensures that our customer is always left completely satisfied with the final product. 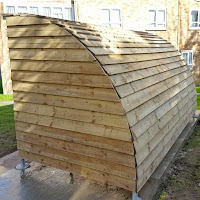 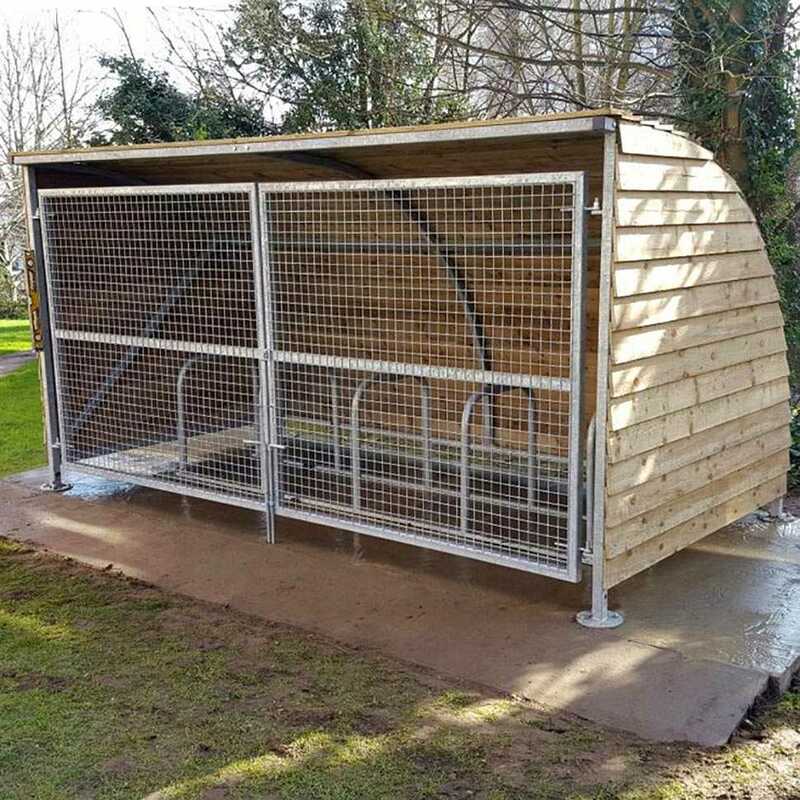 The Sherwood cycle shelter provides a durable, secure and convenient storage solution for cycles and can be fitted with either internal cycle stands or cycle racks. 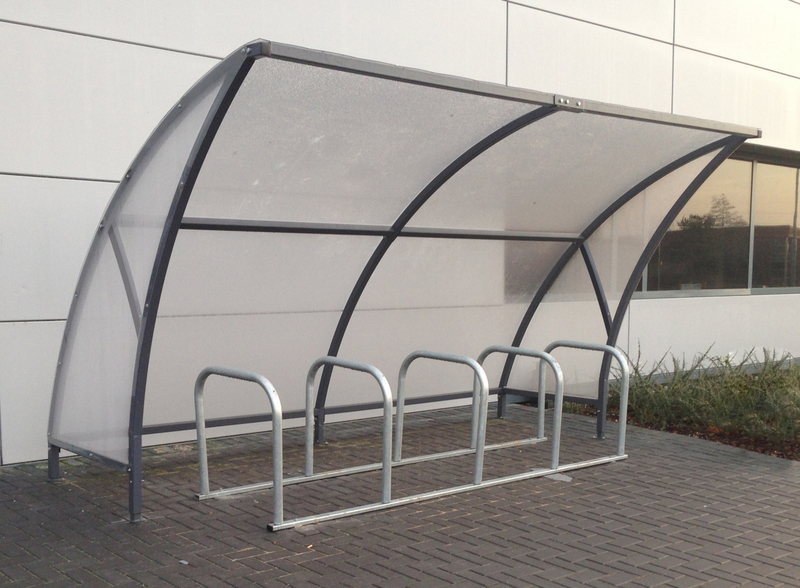 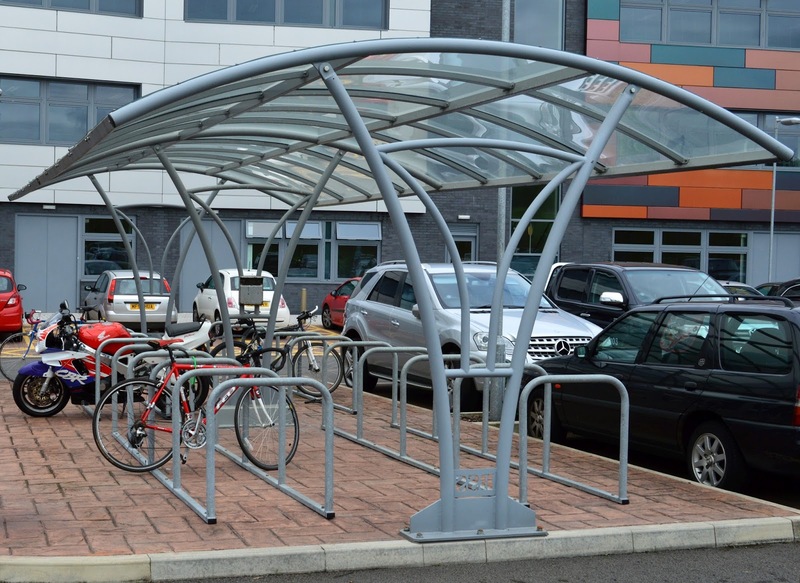 Cycle shelters are commonly found outside office workplaces, train and bus stations, hotels, schools and colleges, and numerous other locations where the need to securely store bicycles is required. 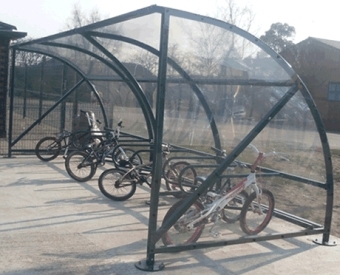 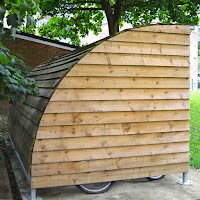 The bicycle shelter is fabricated from a 50 x 50mm galvanised steel frame with wooden slats. 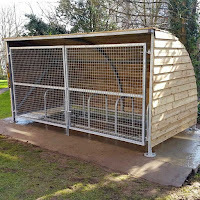 The Sherwood cycle shelter is also available with lockable sliding or swing gates for additional security. 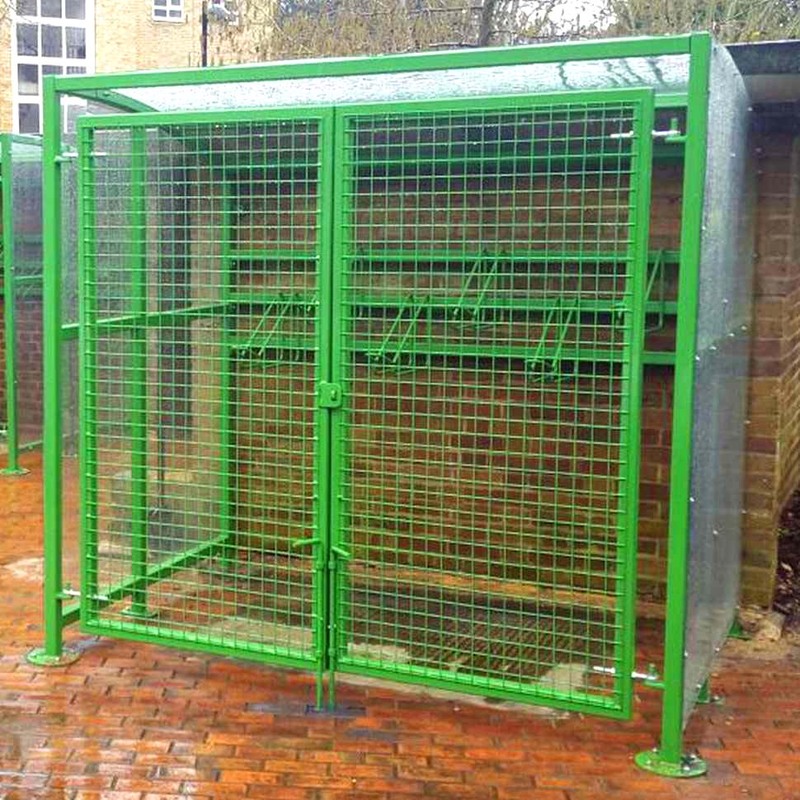 Hardwood or Softwood timber slats are fixed to the galvanised steel frame providing a unique, durable and attractive barrier against the weather. 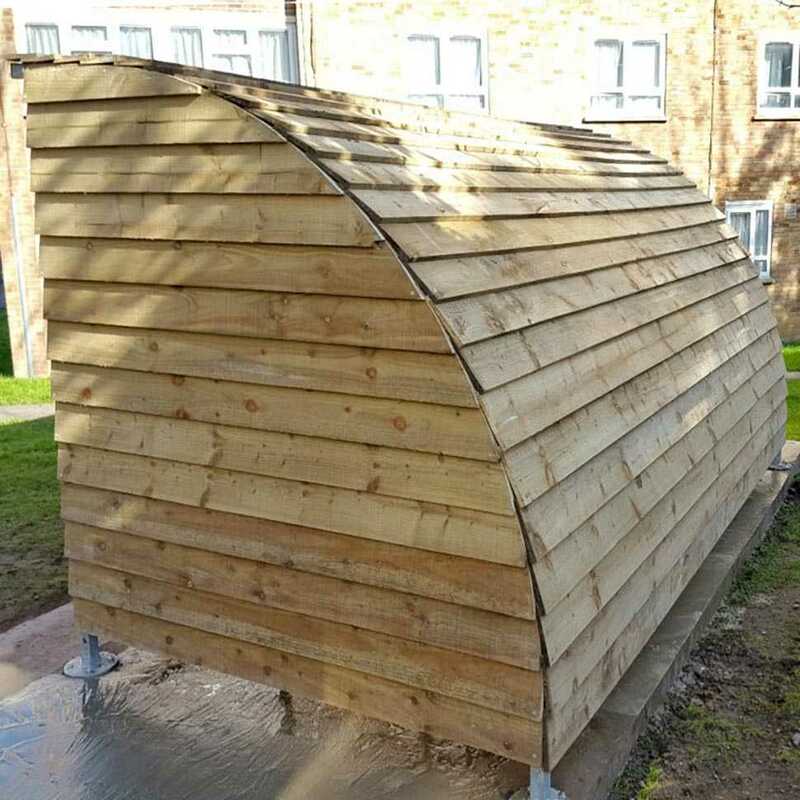 For further information on any of our products or services, please contact the Barricade sales office on: 0845 900 2131 or fill in our enquiry form on the contact page and we will be happy to help.